Technically, I had a paper last week. I say 'technically' because, at only one page long (excluding bibliography), I don't that it counts much in the grand scheme of things. This commentary might be longer than the paper itself. Still, in its own way, this is a resolution for something that's been hanging over me for the last ten years. The article, published in Zootaxa, is titled Clarification of the type status of Macropsalis fabulosa Phillipps & Grimmett 1932. Macropsalis fabulosa is the harvestman species that currently goes by the name of Forsteropsalis fabulosa. It is one of the largest of New Zealand's harvestmen, with a body length (excluding legs and chelicerae) a little shy of a centimetre (Phillipps & Grimmett 1932). As you can see in the photo at the top of this post, the male has chelicerae that are massively enlarged even by the standards of the group that it belongs to. The second inflated segment of the chelicera is about as large as the main body of the animal! Compare the size and shape of the cheliceral fingers in that photo to the one at the top of this post. Also, while it is not clear in the photo, the neotype has a heavy covering of small spines over the top of the prosoma (cephalothorax), but Phillipps & Grimmett had specifically noted that, despite its size, M. fabulosa had a prosoma devoid of spines. (1) Despite his choice of neotype, Forster (1944) had still maintained the characters of the original holotype in his verbal description of M. fabulosa. It is quite possible that his choice of neotype was a mistake. (2) The neotype belonged to a named species, currently known as Forsteropsalis inconstans. Because fabulosa is an older name than inconstans, associating fabulosa with the neotype would mean that F. inconstans would have to be called F. fabulosa, while F. fabulosa would be unnamed. However, to keep the name fabulosa with the original species would require replacing the neotype, and that is something that only the ICZN can do. So last year, myself and my supervisor at the Western Australian Museum, Mark Harvey, drafted an application to the ICZN asking that the neotype of M. fabulosa be replaced with one of the specimens I had attributed to that species in last year's paper on Forsteropsalis (Taylor 2011). The application was duly submitted, but returned a few weeks later with explanations from the commissioners who had reviewed it that the ICZN would not be considering this case. Because they didn't need to. The ICZN, in its current form, has rather stringent requirements for establishing a neotype. Basically, you cannot designate a neotype for a species solely because it doesn't have a holotype. There has to be an actual need for one, i.e. the species would not be properly identifiable without one. You also have to demonstrate that you took all the steps you could to make sure that the original holotype is honestly, truly lost (many specimens, for instance, may end up in a different museum from the one that the original author said they were in). Forster hadn't done that, and he had also violated the requirements by selecting a specimen that didn't match the diagnostic features of the species. So, according to the commissioners, there was no need to ask the ICZN to replace Forster's neotype because it wasn't valid in the first place. But without the 'neotype' to confuse matters, there was no need for me to designate a new neotype either. Phillips & Grimmett's original description is quite adequate to identify M. fabulosa (that was how I had identified specimens of it myself). So, after that long process, I end up writing an article explaining why I have nothing to explain. One interesting potential side-effect is that (as one of the commissioners explicitly noted) this case is not unusual: so stringent are the current requirements for neotypification, without any protection for past practices, that probably a great many past neotype designations are technically invalid. However, they remain unchallenged because, in the vast majority of cases, there is no actual need for a neotype. Forster, R. R. 1944. 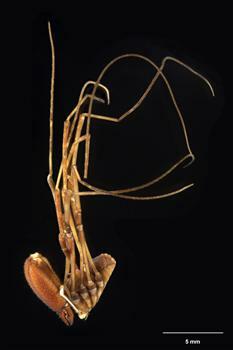 The genus Megalopsalis Roewer in New Zealand with keys to the New Zealand genera of Opiliones. Records of the Dominion Museum 1 (1): 183–192. Phillipps, W. J., & R. E. R. Grimmett. 1932. 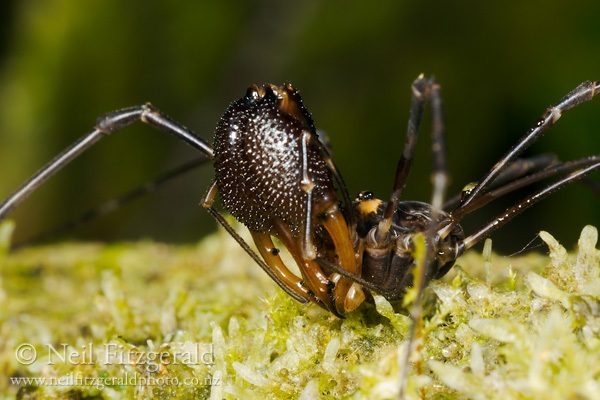 Some new Opiliones from New Zealand. Proceedings of the Zoological Society of London 1932: 731–740. Taylor, C. K. 2011. Revision of the genus Megalopsalis (Arachnida: Opiliones: Phalangioidea) in Australia and New Zealand and implications for phalangioid classification. Zootaxa 2773: 1–65. "I say 'technically' because, at only one page long (excluding bibliography)"
I don't see why a one-pager wouldn't count as a bona fide paper. Nor do I see why one would exclude the bibliography from the total length; it is part of the paper too. Thus, congratulations on your legitimate two-page paper! Nevertheless... One of my colleagues in my department recently had a monograph published in the same journal. It really does not seem appropriate that my two pages are accorded the same score as his 120-odd. The problem is thinking they need any score at all. If what you said added to our knowledge and you were able to say it in 2 pages, then good. Knowing your character, if it wasn't worth it, you wouldn't have published. There is a real issue in natural history these days, where so much information is unpublished because it is seen as undesirable to publish short papers. Shame on those who treat this as "padding your CV". That sort of attitude is one of the major things wrong with science today. Hm. I do wonder what the shortest scientific paper might be? "I do wonder what the shortest scientific paper might be?" This classic paper is surely a contender for that title. Chris, bean cove, you've screeved a bona fabulosa fakement, don't zsa zsa yourself cos it's pogey. Dartian, I love the fact that we are both experienced enough in these things to only suggest that it is a contender, not definitely the shortest. The other Macropsalis is the reason why Macropsalis fabulosa isn't called Macropsalis any more: the harvestman genus Macropsalis was re-named in 1923 to remove the conflict with the older nightjar genus. Which means, interestingly, that in 1932 Phillipps and Grimmett were assigning their new species to an already obsolete genus name. Presumably this reflects the lower availability of a lot of information in the 1930s (particularly in New Zealand). My personal preference in describing cases like this, that deal with the history of a species name, is to refer to the species by the original published combination because this provides a fixed reference point and is generally not debatable. Other people, of course, might prefer to use the current combination (which can be problematic if the species' genus assignment is not agreed upon). IIUC, the issue isn't so much different kingdoms as different nomenclatural codes. You can have a ICZN name identical to a ICBN name, but you can't have, say, one plant and one alga with the same name because both are under the ICBN. Things can also get a bit fuzzy when dealing with 'ambiregnal' taxa that different authors may treat under different codes.